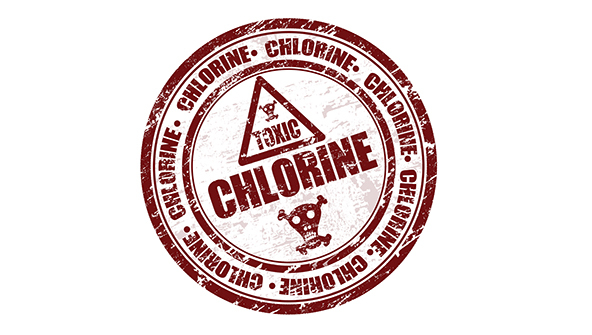 Over the weekend, six employees at a hotel in Rochester, New York were transported to the hospital when they became ill after mixing chlorine with other “ordinary” household cleaning chemicals. According to reports, the resulting mixture created a dangerous vapor cloud. No one was seriously injured, but workers and guests were evacuated from the hotel. The county fire coordinator told reporters the outcome could have been much worse if not for the quick intercession of first responders. Emergency crews spent several hours at the scene stabilizing the chemicals, which were eventually placed into a field container and removed safely from the building. Air quality tests were run before workers and guests were allowed to return to the hotel. Incidents like this remind us that even common chemicals used in relatively small quantities can pose serious hazards. Cleaning supplies, degreasers, paint and other such products often fly under the compliance radar. However, any workplace situation where chemicals are present involves some degree of danger to workers. OSHA is aware of this, and tailors its hazcom requirements and enforcement accordingly. OSHA doesn’t require that employers have safety data sheets for consumer products when those products are being used in the same way (and in the same quantity) an average consumer might use them at home. For example, an employee keeping a personal container of Wite-Out on his or her desk to correct mistakes would not automatically necessitate an SDS. However, a workplace that had a five gallon drum of the same substance would likely require and SDS for Wite-Out. So, in the example of an employee using a personal container of Wite-Out, if that employee uses the product only occasionally, then no SDS would be required. However, if that employee’s job is to make corrections using Wite-Out all day, every day — even if they do it with Wite Out from a small personal-sized container — then OSHA is probably expecting to see an SDS for Wite-Out in that employer’s library. Remember, hazcom is vital even in workplaces that are only using chemicals that have come to feel “normal” or “ordinary.” When you’re unsure about a chemical, it’s always a great idea to err on the side of caution by maintaining an updated SDS and ensuring employees are properly trained on that chemical’s handling and use. This can help to ensure OSHA compliance and, more importantly, help create improved workplace safety.